Managers of water-treatment applications that demand superior chemical consistency turn to the leading Maxima range of base-mounted solenoid dosing pumps for an intuitive, efficient and reliable solution. Maxima boasts SEKO’s revolutionary electronic stroke-length regulation, which lets users optimize dosing consistency to suit the application, while a PT100 probe input enables the system to allow for temperature changes via thermal compensation. 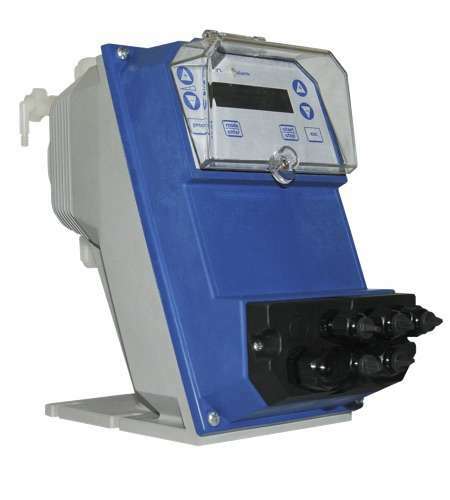 Available in analogue or digital variants, Maxima offers constant and proportional manually-adjustable flow rates plus ppm dosing and batch mode to make the series one of the most flexible solenoid-driven dosing pumps on the market. Common fixing points mean any combination of the five Maxima models can be quickly and easily incorporated into pre-assembled skids, and the front panel can be customised with the operator’s branding or user information.